In the year 632 CE, a learned Chinese monk made a journey by land from China to India, in search of the original Buddhist scriptures and teachings. His name was Xuan Zang and he had believed that true Buddhist religion was being practiced only in India. Every one knows about his travels, yet very few understand that Xuan Zang's travelogues are perhaps our only guide books about the political, social-religious and geographical conditions of this region in those times. Xuen Zang left the Chinese mainland by the northern silk route, passing through Turfan, Karashahr and Aksu to reach Central Asia. From there, he travelled to the cities of Tashkent and Samarkand, from where he crossed into Afghanistan to reach the city of Kunduz. From here, his next destination was the city of Kapisa. However between these two cities, stood a formidable obstacle in the form a mountain ridge known as Siah Koh or Black Ridge. This mountain ridge, equally formidable even today, is known as Hindukush. There were only two known passes by which Xuen Zang could cross over to the other side of the black ridge. The first pass on the eastern side is known today as Shibar Pass. However, route through Shibar pass is known to be longer and the shorter route is through another pass known as Salang Pass. 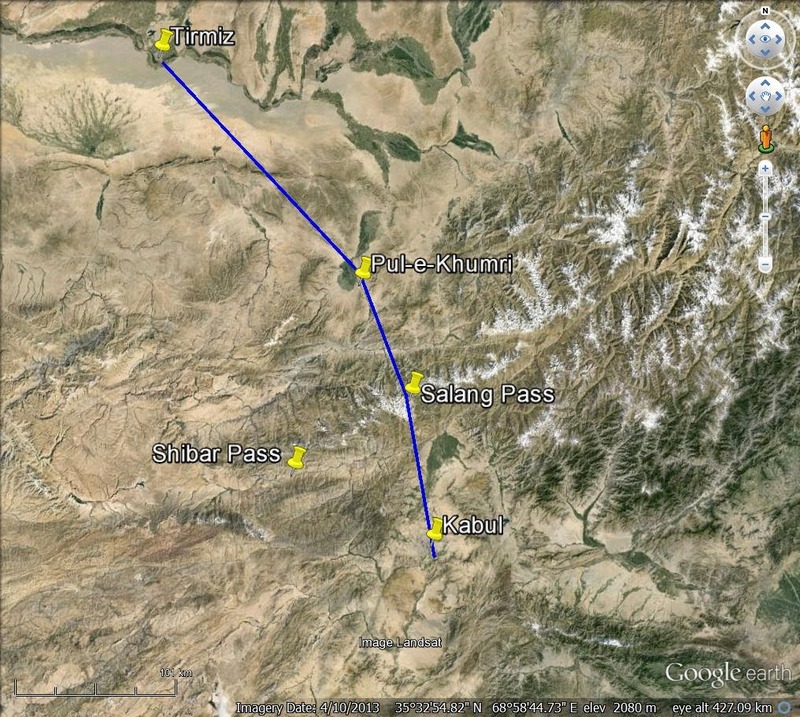 Xuen Zang had used Shiber pass on his onwards journey to India and years later, while on return journey used the Salang pass. 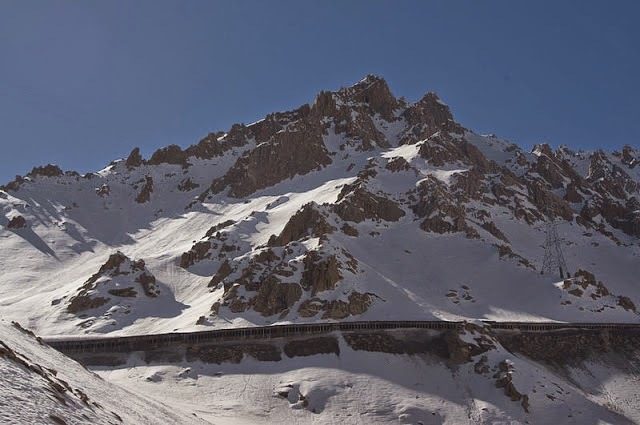 The difficulties and hardships suffered by Xuen Zang in crossing the shorter Salang pass are present even today and are equally painful for the travellers of today, even when there is a motorable road and a tunnel under the pass. 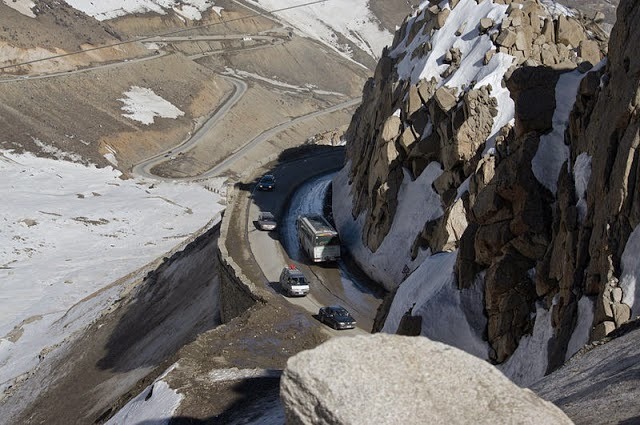 The Salang Pass poses formidable challenges because of its steep slopes and extreme climatic conditions. The area gets covered with 1-4 meter deep snow in winter with temperatures plummeting to as low as 30 deg. Celsius. The inclement weather conditions are frequently marked by avalanches,heavy winds and snow blizzards. 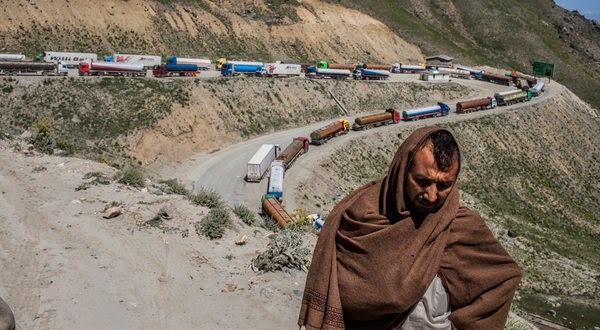 However, for each and every entity, that includes humans, animals, goods, machinery, fuels and even electrical energy, that needs to be moved from north to south in Afghanistan, crossing the Salang pass is a must. Afghanistan is one of the least developed countries of the world with three decades of war having wiped out most of the country's infrastructure. When the war with Taliban was finally over, it was realised that the power scenario of the country was particularly bleak and even for the four million citizens of country's capital Kabul, electricity was a luxury. It used to get only three hours of electricity on every alternate day. Afghanistan's President Hamid Karzai first came up with a request for India to see if surplus electrical power available at the generating stations in Uzbekistan, can be brought to Kabul by building a transmission line. After giving due consideration, India's federal cabinet gave green signal to set up a 220 KV DC transmission line from Tirmiz via Pul-e-Khumri to Kabul and an electric sub station at Kabul at a cost of 4.7872 Billion Rupees. After finalisation of the power-purchase agreement between Afghanistan and Uzbekistan, a 462-km transmission line was proposed from the Uzbek border to Kabul. 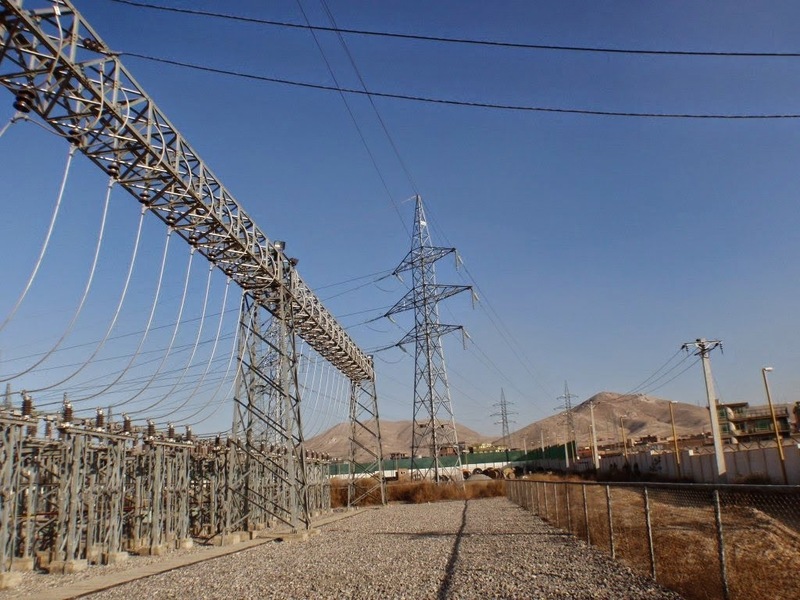 Subsequently on August 12, 2005, a pact was signed between the ministry of external affairs, government of India, and Power Grid Corporation, a public sector undertaking of the Government , for construction of the 220-kV Pul-e-Khumri-Kabul transmission line and Chimtala sub-station at Kabul. The major components of the project were: 202km 220-kV DC Pul-e-Khumri-Kabul line, 220/110/20-kV Chimtala sub-station, Construction of township at Kabul, and training of Afghan electricity department personnel. Considering the looming threat of terrorism in the area and the presence of some of the most arduous terrain on earth, it was obvious that execution of the project involved significant challenges and risks. As an example of the challenges faced, it was found out even before the first tower could get erected that the transmission line route was infested with landmines planted by the multitude of warring forces fighting for control of the country. The geographical challenges were of no less significance. The line was to traverse through mountainous terrain with altitudes ranging from 1,800 meters above sea level at Kabul to more than 4,000 metere above sea level at Salang Pass. Nevertheless, despite the odds,the project was completed within cost and time deadlines. 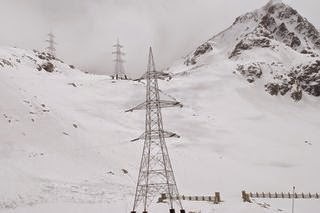 The transmission line is supported by 613 towers and passes through a heavy snow zone. The towers were built under harsh weather and daunting logistical challenges in difficult terrain. I quote from the press report released by the company in 2009. What is noteworthy is that this transmission line passes through the Salang Passs area. To erect the transmission towers in this inhospitable area, was a highly challenging task but Power Grid Corporation engineers managed to complete the task. It was a formidable task by any standards and Power Grid Corporation deserves kudos for the job. There is a saying that nothing breeds success like success. Government of India has now entrusted the job of erecting a transmission line from Leh town in ladakh to Srinagar to Power Grid Corporation. It will cover roughly 450 km through Drass town along the Pakistan border in Kargil district, and Khaltse in Ladakh. The line would have to be laid across altitudes of 14,000 ft and has to withstand avalanches, blizzards and temperature of 30 degrees below freezing for most part of the year. The line is expected to cost over Rs 1.6 billion and would be completed in four years because work can proceed for only 3-4 months every year. When completed, it would provide Leh town, ample power throughout the year.